Jennifer Toomy is the Head Tennis Professional at Folkes/Stevens Indoor Tennis Center at ODU where she oversees the tennis program. Well known for her player development and her success with USTA teams, Jen was named as the Janet Louer USTA Junior Team Tennis (JTT) National Organizer of the Year Award winner. Toomy currently works with the Norfolk Tennis Association and also is the Junior Team Tennis (JTT) coordinator for Hampton Roads. During her career, she was the Director of Junior Development and resident tennis professional at the Boars Head Sports Club in Charlottesville, Va., from1993-2007. Watching the focus on someone’s face explode into a smile after a well hit ball is the greatest reward any tennis professional can ask for. She assisted in creating the first JTT league in Ocala, Fla., in 2007-2009. 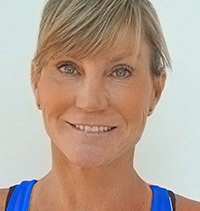 Jen has coached and played on USTA teams that reached the USTA National Championships. She is well known in the communities in which she teaches, reaching out and creating programs for the local kids. She teaches people how to play and how to win, but also is known for making tennis welcoming and fun for first time players. Jen’s passion is giving kids the opportunity to discover and fall in love with playing tennis. She has an excellent reputation for technical instruction as well as competitive player development of juniors and adults. Originally from Zagreb, Croatia. 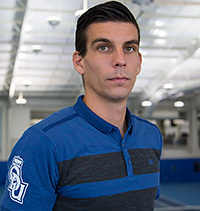 Zvonimir is 23 years old and a former Student Athlete on the tennis team at Old Dominion University. Served as captain of ODU men’s tennis 2015/2016. Zvonimir was 1 st on the ranking in Croatia U16. Played semi-finale of the national championship U18. Zvonimir looks forward to working with the membership, and is excited to be joining the staff at the Folkes Stevens Tennis Center.